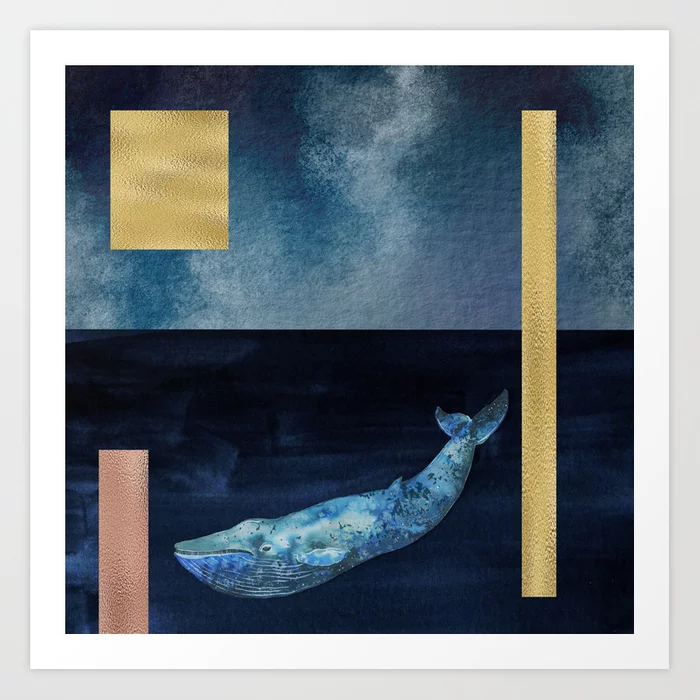 Beautiful whale painting with gold and copper metallic foil available as print and home decor. 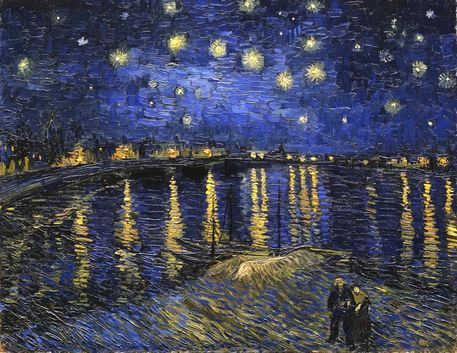 Starry Night Over the Rhone (September 1888) is one of Vincent van Gogh’s paintings of Arles at night time in Arles. 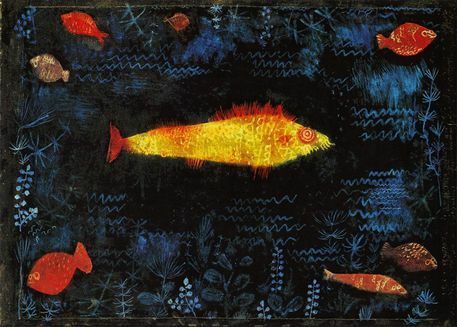 It was painted at a spot on the bank of the Rhone River that was only a one or two-minute walk from the Yellow House on the Place Lamartine which Van Gogh was renting at the time. 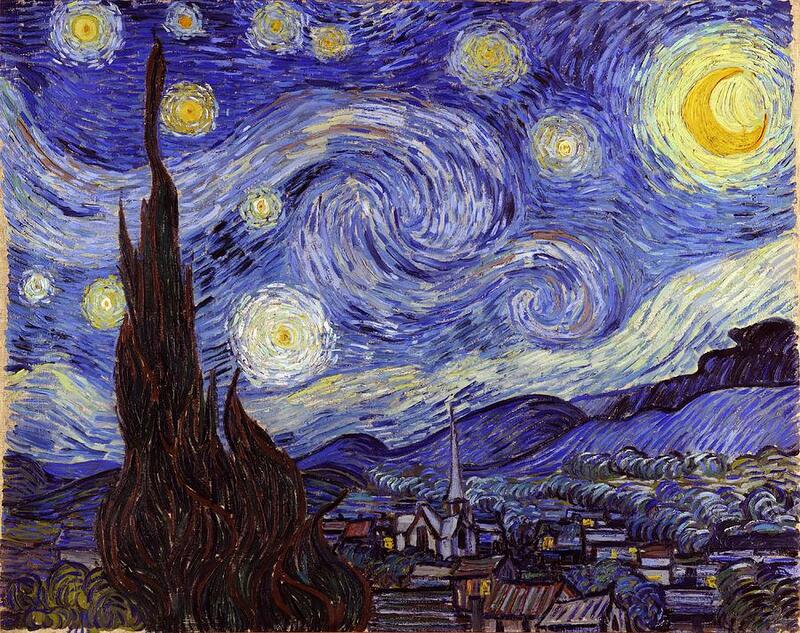 The night sky and the effects of light at night provided the subject for some of his more famous paintings, including Cafe Terrace at Night (painted earlier the same month) and the later canvas from Saint-Remy, The Starry Night.